The Warren Studio features a comfortable modern studio that is very comfortable and inviting. The studio works mostly by appointment and is an intimate space of collective talent. The artists are usually busy and understand the magnitude of putting something on your body that will last forever. Featuring portraits, black and gray, color work, and traditional tattoos. The tattoo rooms are clean and private. Also featuring the artwork of Ray Harris and Jason Parker. 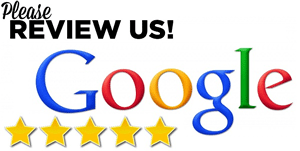 Our Centerline tattoo shop gives you easy access to one of the best tattoo shops in Michigan. Our in-demand artists are trained in a variety of tattoo styles to help you get the look you want for your body art. When you want to get a tattoo, don’t trust just anyone to get the job done. 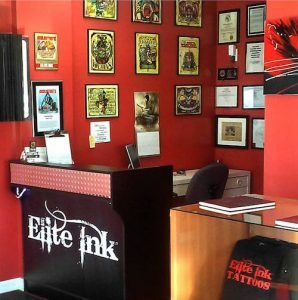 Elite Ink’s Centerline, Michigan location has earned its reputation as one of the top tattoo shops in the state. Contact our team today to learn more about our artists and make an appointment. For other art styles or to design a custom piece, our resident artists will be able to help. Elite Ink’s skilled artists have plenty of experience creating tattoos for clients and can help you design the best one for you.We work mostly by appointment, so be sure to schedule a time to meet with us. Elite Ink is one of the best tattoo shops in Michigan thanks to our clean and private studio spaces. When you’re getting your ink, you can rest assured that the equipment being used is clean, safe, and state-of-the-art. Whether you’re getting your first tattoo or have lost count of how many tattoos you have, we want to offer you the best tattooing experience possible. That’s why our spaces are always private, comfortable, and inviting. For more information on our shop or our artists, contact our Centerline, MI location at (586) 759-8446, or stop by the shop at 25543 Van Dyke Ave.